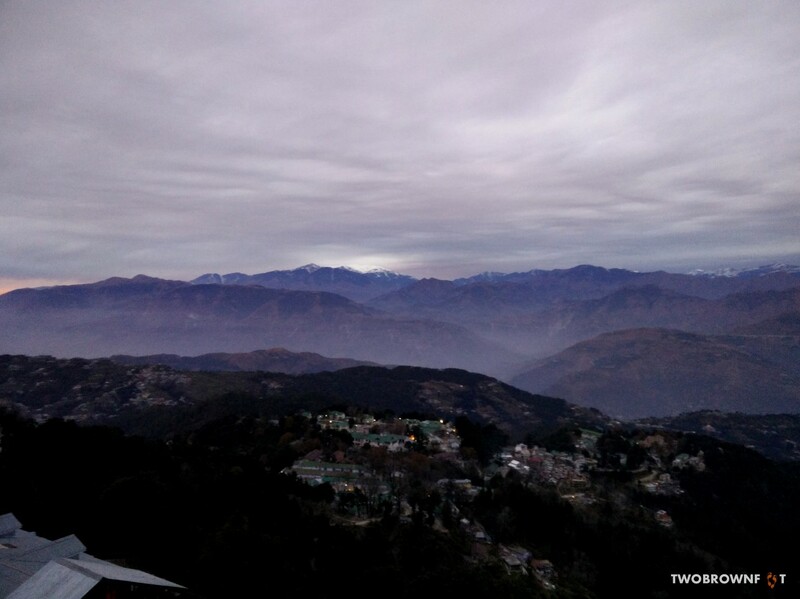 After spending three days in McLeod Ganj, we realised, that we’d planned the next leg of the trip to the neighbouring hill town of Dalhousie. 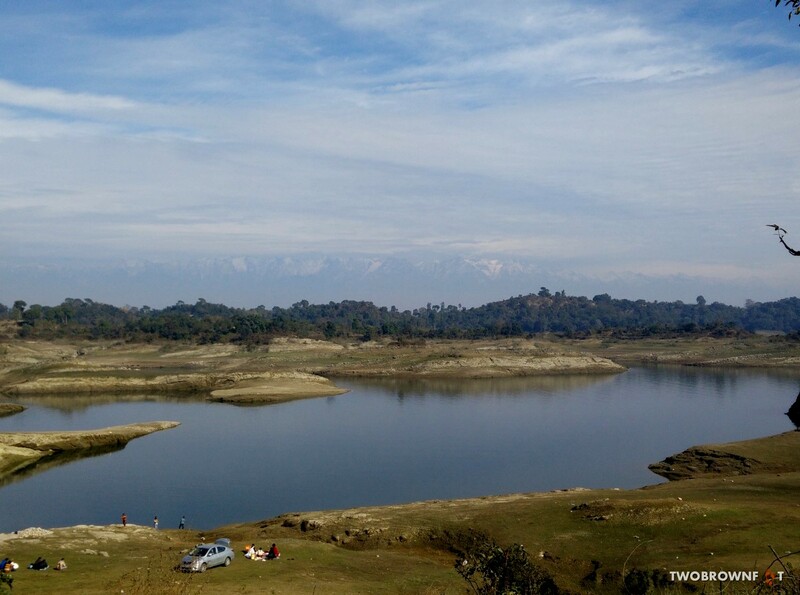 It’s a three hour journey between the two mountain towns and involves making a shift between the Kangra District and Chamba District. If you’re brave enough, HPTDC buses might prove to be a budget friendly way to travel. It’s best to find out bus routes before planning your trip. Or, you might end up walking or hitch-hiking part of your trip. 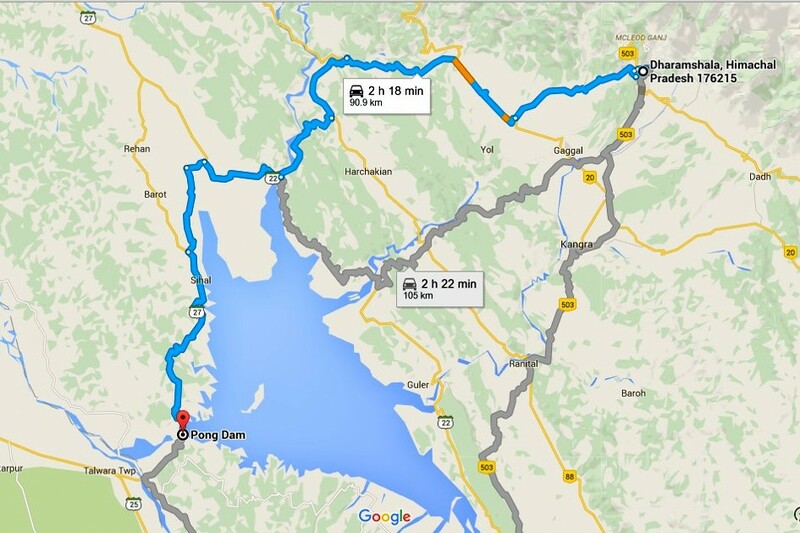 We opted for a cab and managed to include a trip to Pong Dam (also known as Maharana Pratap Sarovar) in our package. We started our journey in the wee hours of the morning. Our descent took us through a winding road that lead to the valley below. After a point, the journey started to take a toll on us. Somewhere, around the time I thought I was going to throw up, our driver decided to make a tea stop. The roadside dhaaba (budget meal hotel) served the best aloo parathas (potato stuffed rotis) that we’ve had. We washed our breakfast with a cup of warm tea. Reluctantly, I stepped back into the car. The rest of the ride took us through village towns, orange orchards, and fields of green. 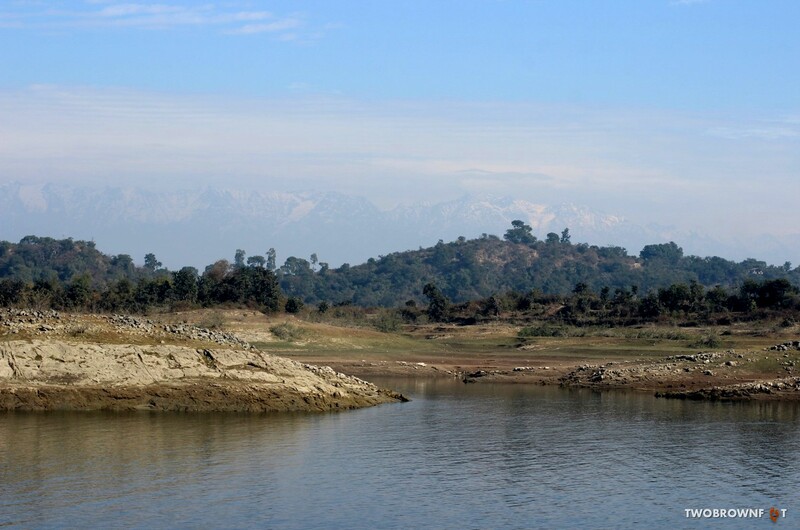 The scenery changed from rugged mountains to green plains quickly. There were moments, in which, I found myself drifting away. 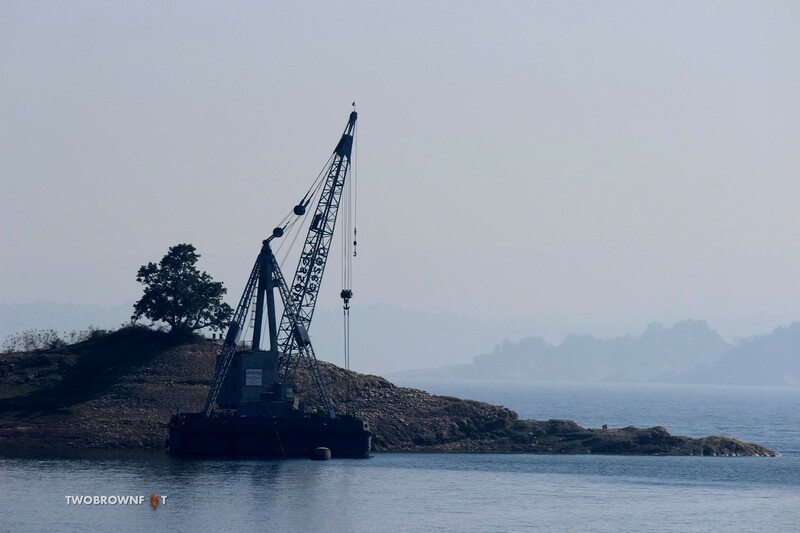 On other occasions, I wanted to kick myself for including Pong Dam in the trip. 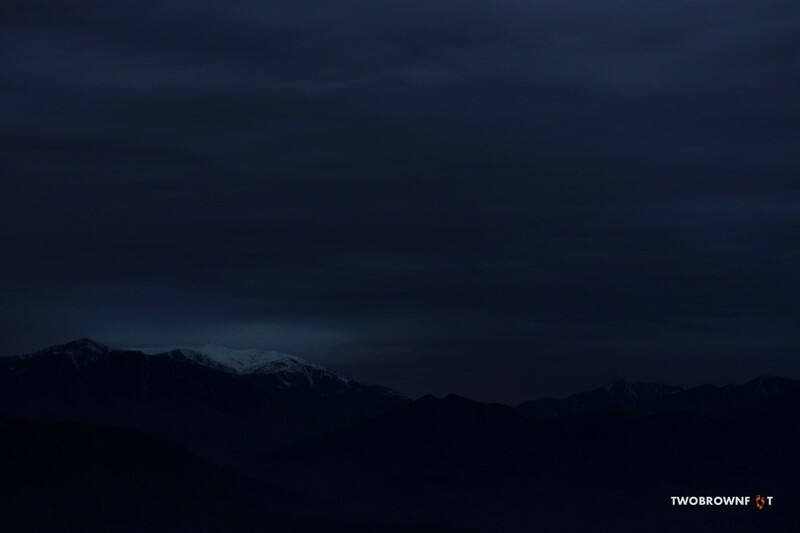 Fortunately, with the first view of the white mountains (Dhauladhar Range), partially hidden in the haze, my spirits found a new high. 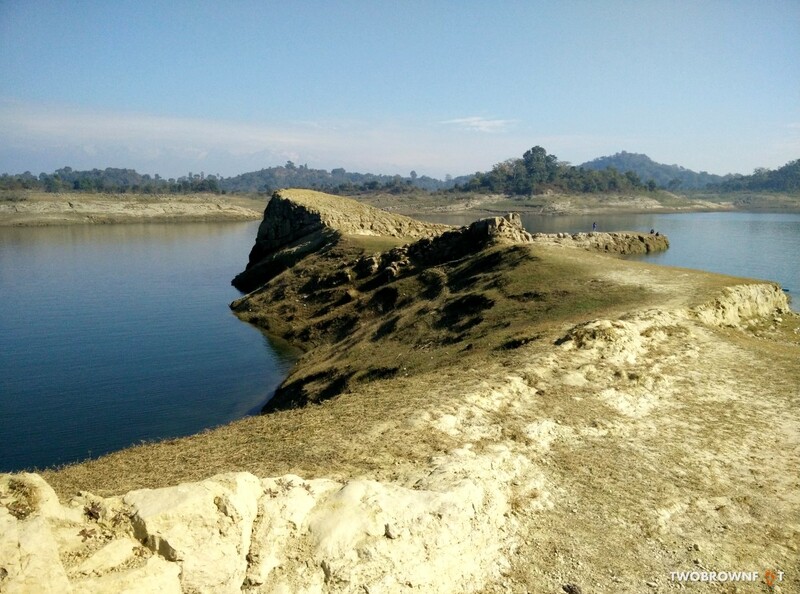 This artificial reservoir is situated in the middle of nowhere. Probably, that’s why, few travellers make it here. 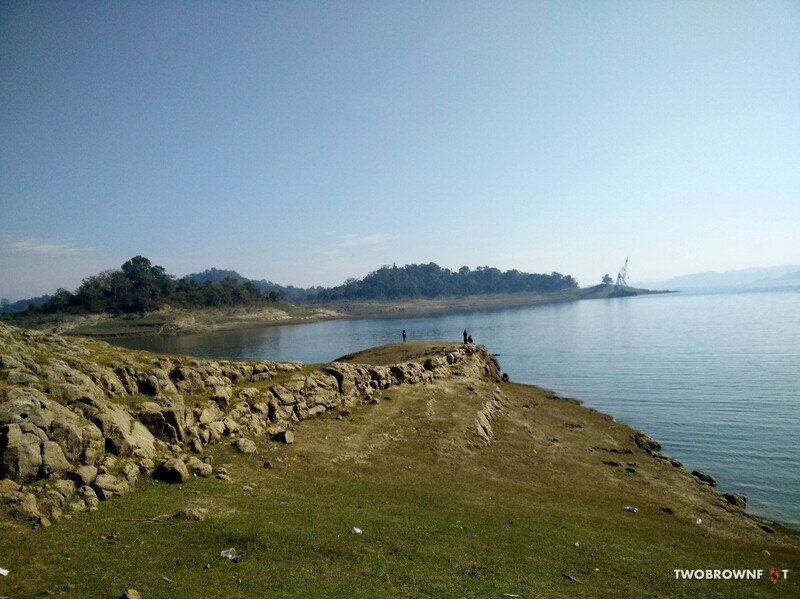 A hidden road lead to the entrance of the reservoir. Our driver parked the car and we walked down a flight of steps to reach the waterfront. 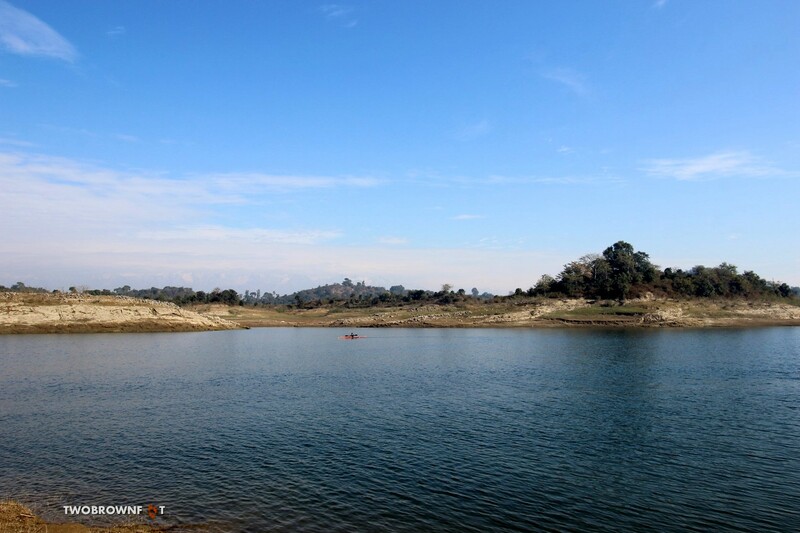 At noon, the heat of the sun was compensated by the gentle breeze of the lake. The silence was rewarding. 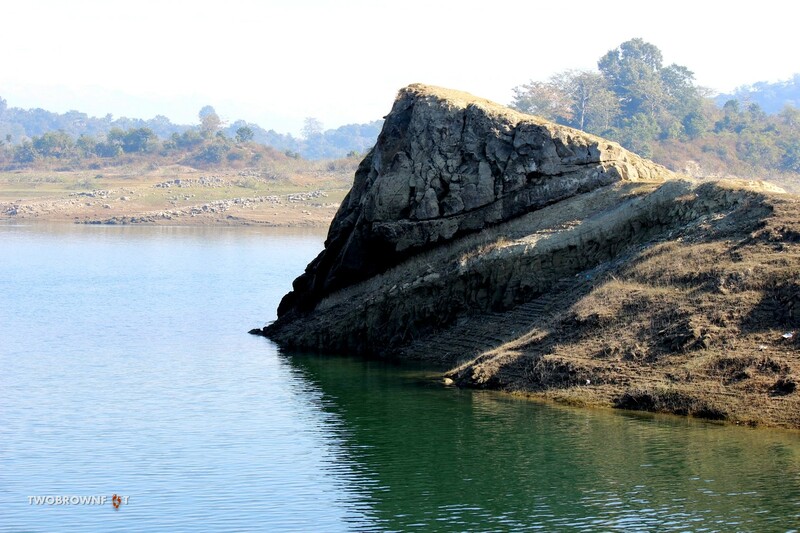 The blue waters of the lake, set against a backdrop of the Dhauladhar Range, is what made us want to visit Pong Dam. We wanted to capture the setting as we saw it. Unfortunately, the mountains weren’t easy to capture on camera. Basil spent most of his time struggling to capture these giant ghosts. 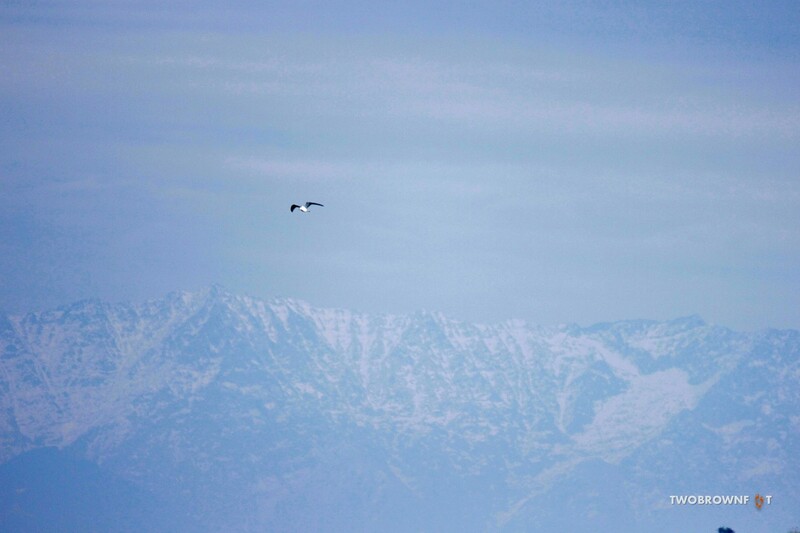 In most shots, the mountains were too faint to be visible. I walked around and found a comfortable spot to nestle in. The sun was bright, but, I tried to let my mind wander. 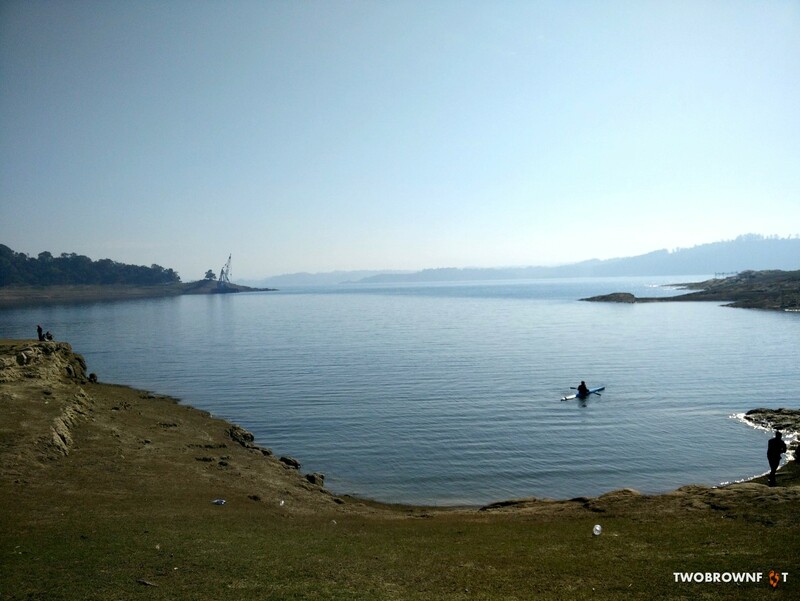 I was mildly surprised to see two young girls (representing the state of Punjab) canoeing in the lake. Their coaches watched them from land. Eventually, Basil managed to capture few good shots of the mountains. 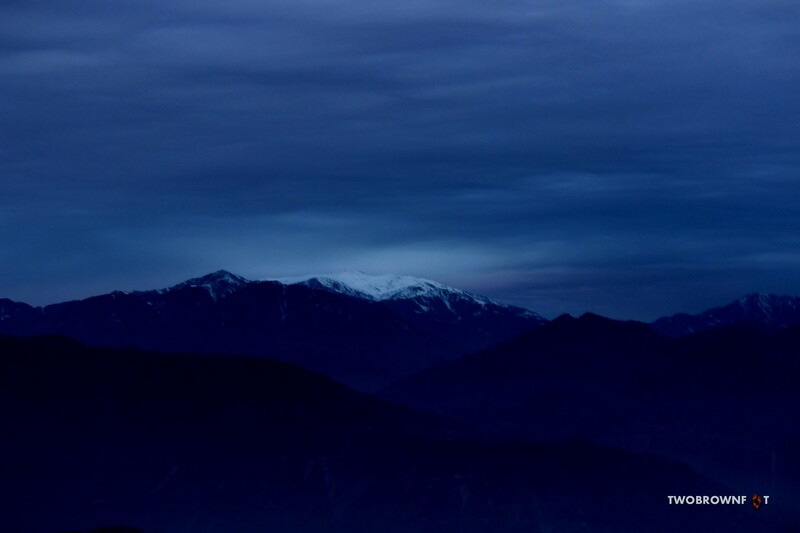 Beyond the bulbous trees, rising in the shadows of ambient light, the Dhauladhar Range made a stunning sight. 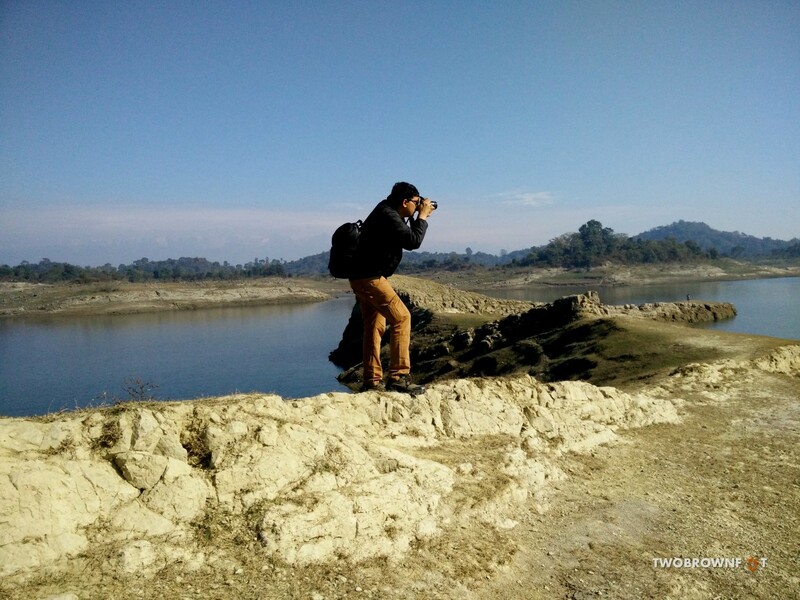 The reservoir also attracts migratory birds and is a treat for birding enthusiasts. 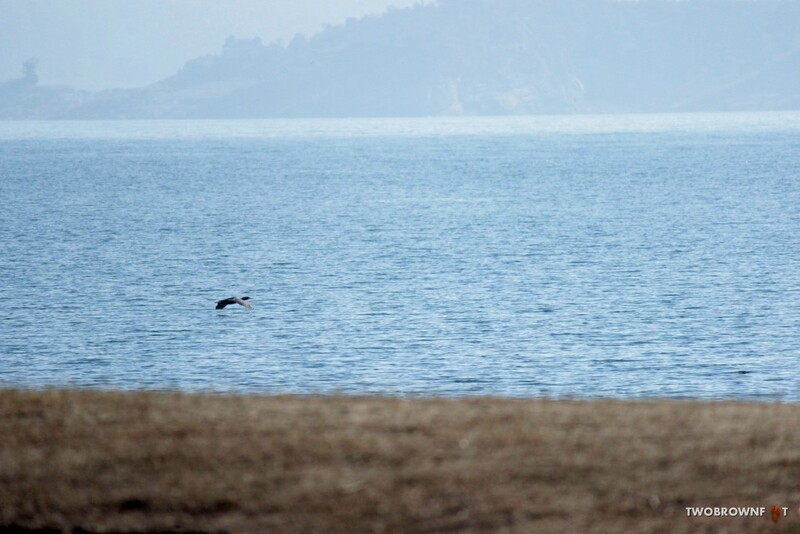 We saw few birds flying or diving in the water. Most of them were too far to get a good look at. By 1 pm, families started arriving. A picture of quiet calm was soon to be destroyed and it was time for us to continue our journey. We retraced our path, once again, seeing familiar sights of villages and fields. The ascent to Dalhousie (2,400 m) was the last leg of the torturous ride. Ironically, the scenery was stunning. Green terrace fields, vantage views of the valley, and the quiet gush of the river couldn’t stop from making me feel sick. I kept thinking of the comfort of my bed – back home. It was nearing three and we hadn’t made it halfway to the top. Once again, a dhaaba served us a hot meal of rice and dal (lentil soup). 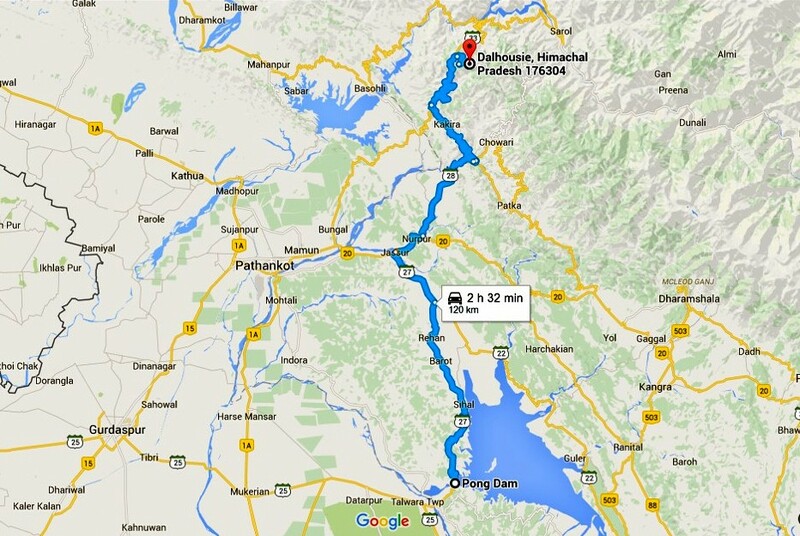 After refuelling, I was good to go – for the hour long journey to Dalhousie. 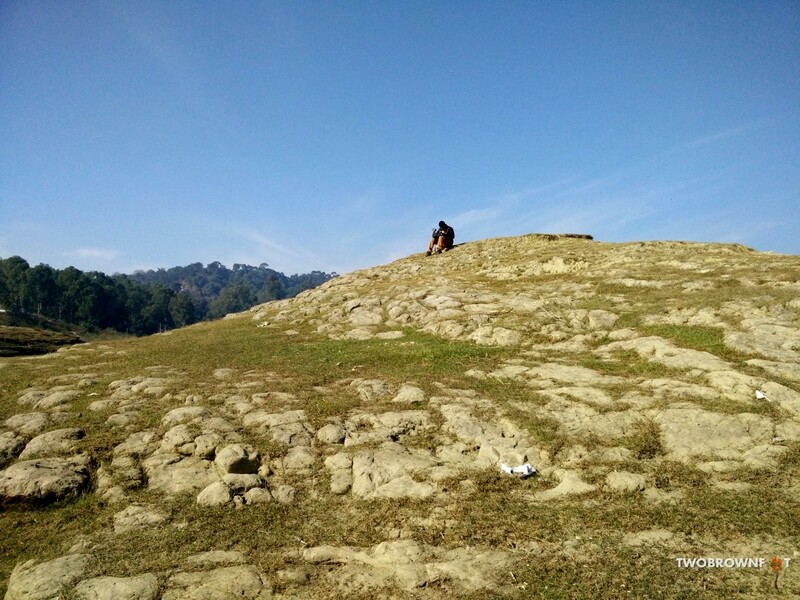 We passed army cantonments and saw army recruits huffing up the mountain with rucksacks and a rifle in their hands. 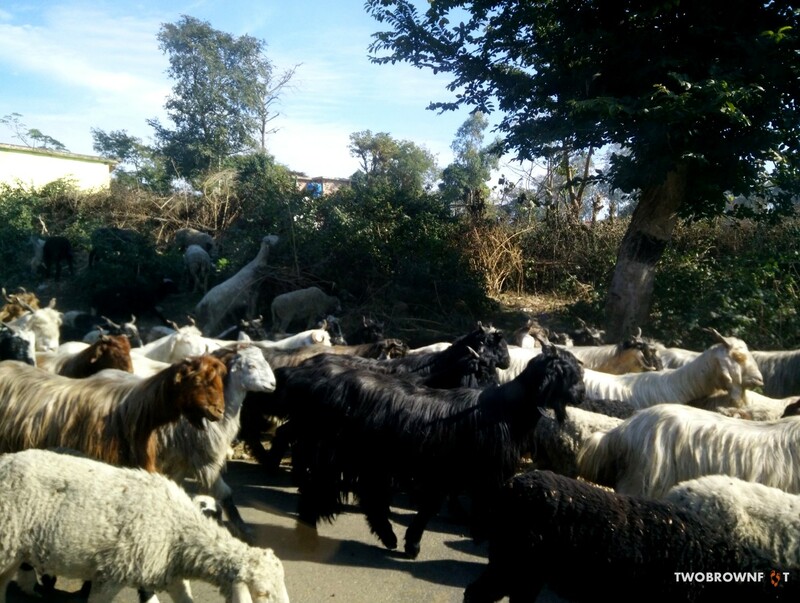 It was a Saturday, and cars kept honking to make way along the narrow road. After settling in, we took a walk to the main market. 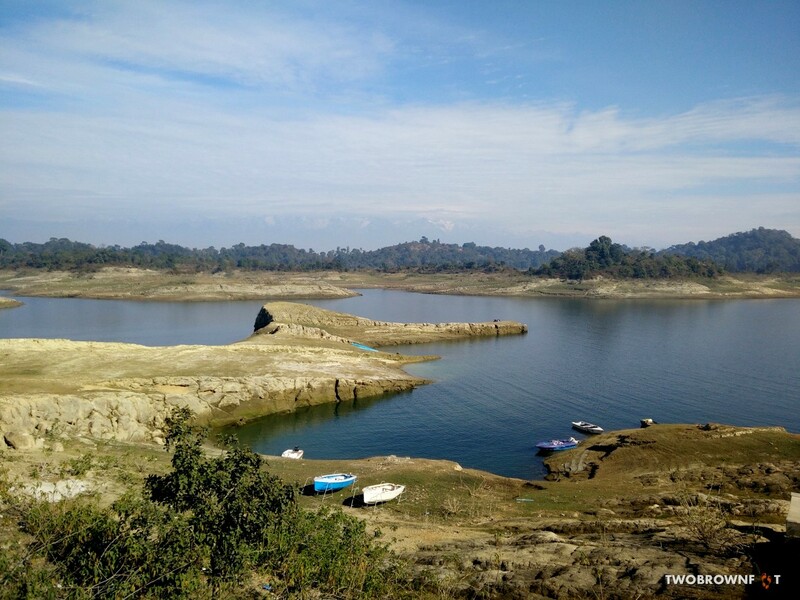 Named after Lord Dalhousie, this quaint mountain town had few remnants of its colonial past. The side facing the mountain range was lined with hotels – blocking their terrace for parking. 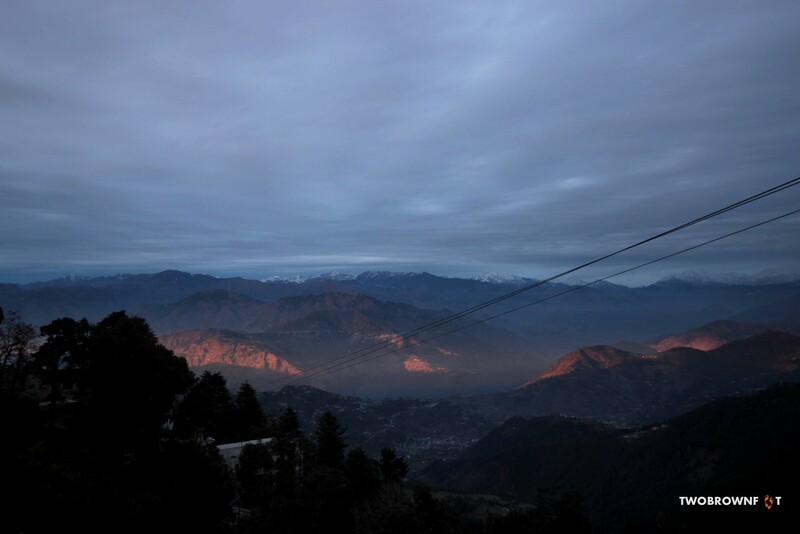 A site of an abandoned hotel terrace provided many visitors, like us, a stunning view of the majestic Pir Panjal Range. Somewhere, in the distance, a halo spread over a peak of the mountain. With that, I forgot the hardship of travel, and looked forward to a good night’s rest. Sounds like you had a lovely day. Great photos. 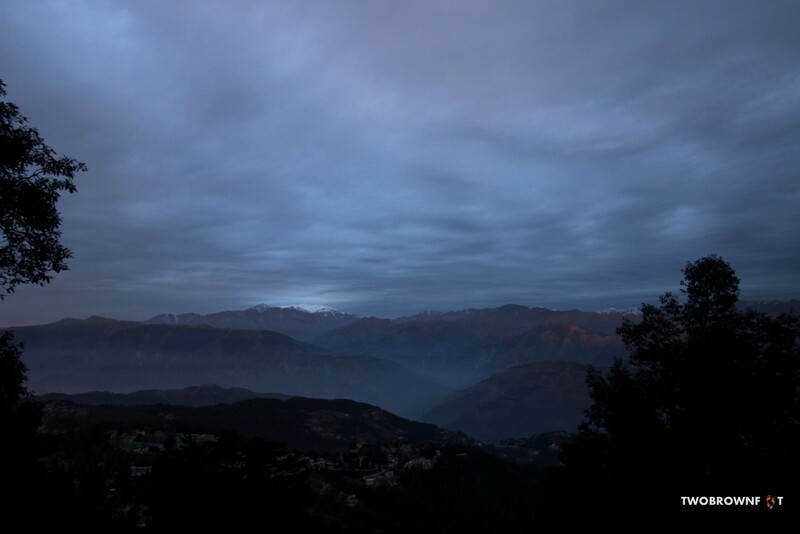 I love the mountain shots with the fading light and the clouds. Very nice! Motion sickness, you poor thing. Thank God you pulled through.. 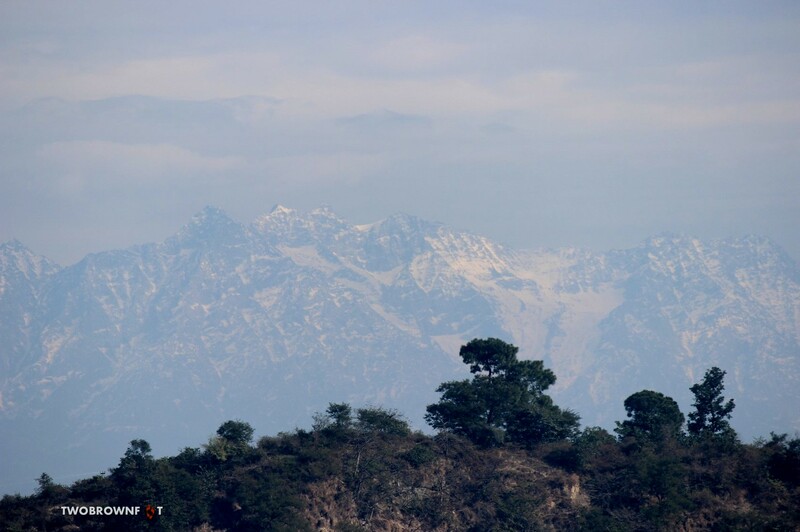 Especially Himalaya mountains because they are so magical. Somehow or other, European Alps just don’t give that same feeling for me..
From the pictures I see, I would love to visit this place and surrender myself with the natural beauty. Zubin, I did think of you! 🙂 So many wonderful places to hike and spend time in pure bliss. I wish I had a better fitness level and more time. I’m sold on the mountains. 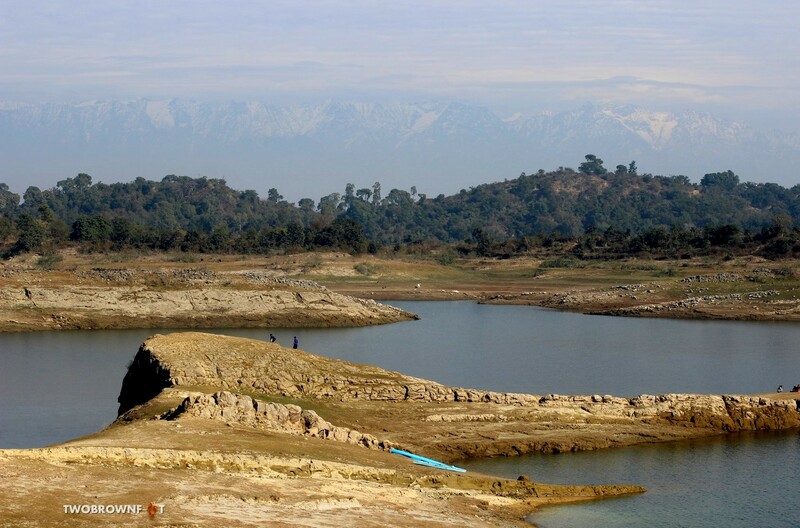 Uttarakhand is next on our bucket list.